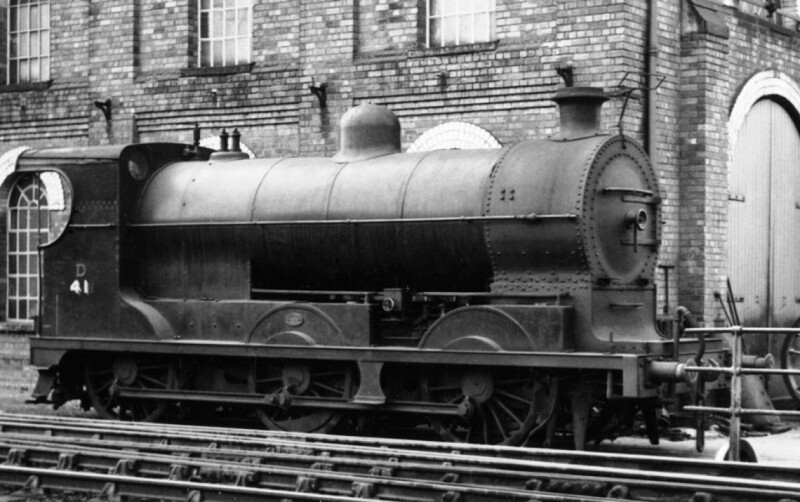 No.202 was one of 15 SG3 class locomotives, the last of three classes of 0-6-0 goods engines descended from the S class express passenger engines. She was built by Beyer Peacock in Manchester and delivered in March 1921. They were heavier and more powerful than the preceding SG and SG2 classes. They were nicknamed 'Big Ds', after their power classification. The SG3s were numbered in an eccentric manner, making use of unallocated locomotive numbers that ranged between 6 and 202. Passenger engines were labelled in more logical order, so in 1948 No.202 was renumbered 41 in order that the new batch of class U 4-4-0s could be numbered 201-205. Like many other GNR engines, the number was changed again when the Ulster Transport Authority took over in 1958. The engine ran for another seven years as No.35. Following the closure of the 'Derry Road' in 1965 the UTA disposed of large numbers of steam engines, and No.35 was withdrawn in May of that year. The SG3 model was made in 1923, apparently for instructional purposes at Dundalk. 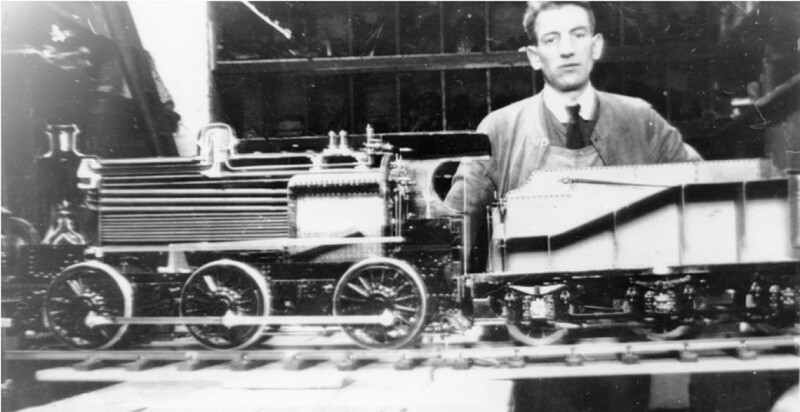 The GNR(I) was already making extensive use of models for training; in 1920 a six-wheeled carriage was fitted out as an 'instruction car' which contained both sectioned and working models of various locomotive components - sectioned models of a complete engine and tender may have been seen as a logical next step. 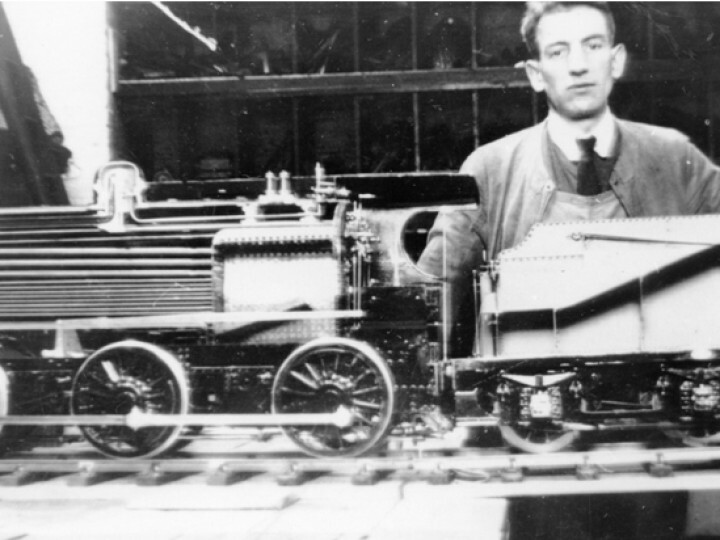 The model was to a scale of one and a half inches to the foot, resulting in an engine four feet long and tender two feet nine inches long, with accompanying track to a gauge of about 7¾ inches. The right hand side was complete in every detail, while the left side was extensively cut away from running board level upwards to reveal the interior of the tender tank, firebox, boiler, smokebox, and one of the valve chests. 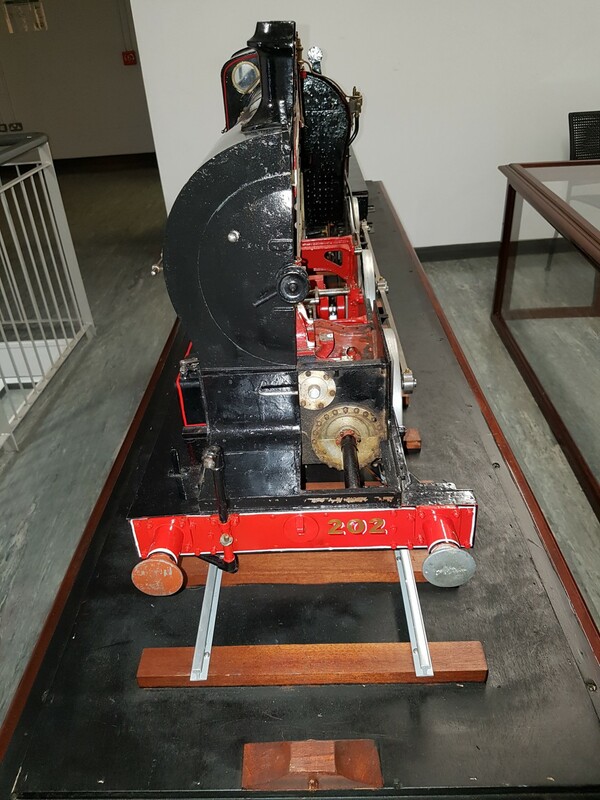 The regulator valve could be seen in operation, the reverser could be used to link up and down the valve gear, and there were many other small moving parts. Mr J.A. 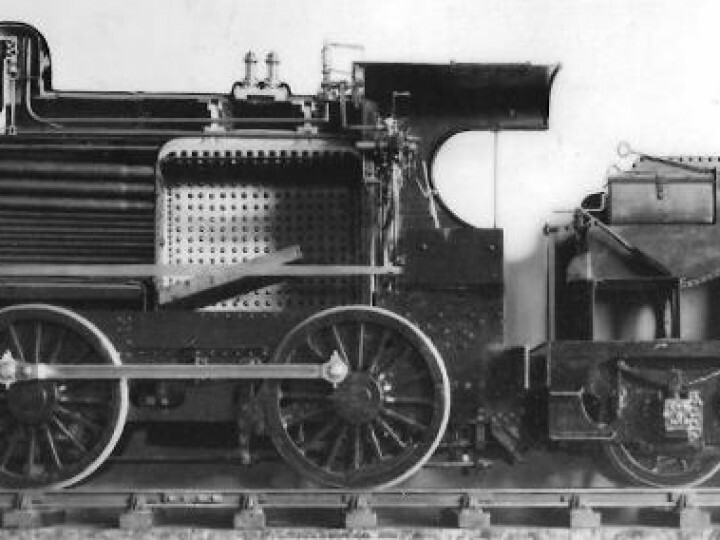 Webster, senior fitter in the tool shop at Dundalk, was probably in overall charge of the model's construction. 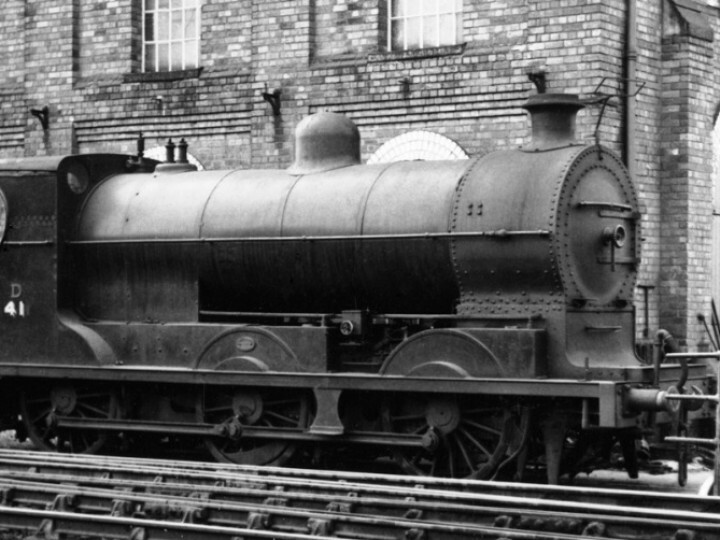 He is known to have made the valve gear, and may have had the assistance of some apprentices for the project. Exactly where and how the SG3 was used in training remains something of a mystery, although a letter surviving from June 1925 raises the intriguing possibility that it may have journeyed overseas! It is a letter of introduction for Mr Webster from GNR(I) Chief Mechanical Engineer George T. Glover to the Chief Assistant Mechanical Engineer of the London and North Eastern Railway. Apparently Mr Webster was supposed to have travelled to Darlington with the SG3 model, but nothing further is known about this, including whether the trip ever took place. In 1938 the model was exhibited to the public for the first time at Amiens Street (now Connolly) station in Dublin. 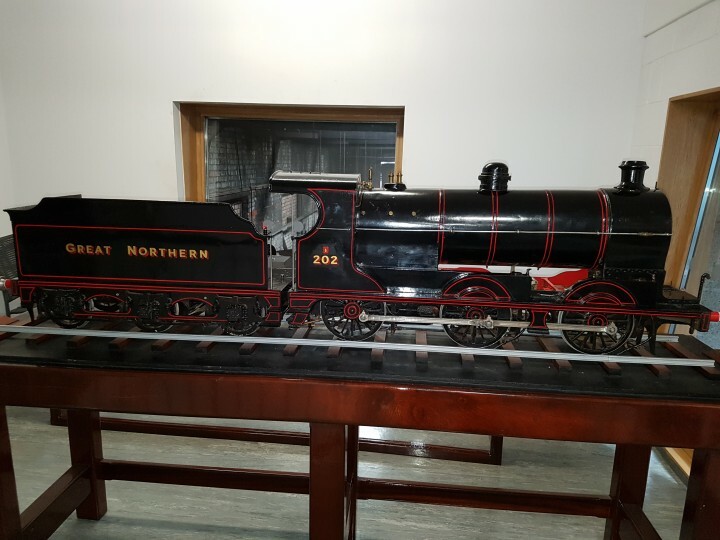 It was protected by a glass case made at Dundalk and propped up so that its wheels did not touch the accompanying track. 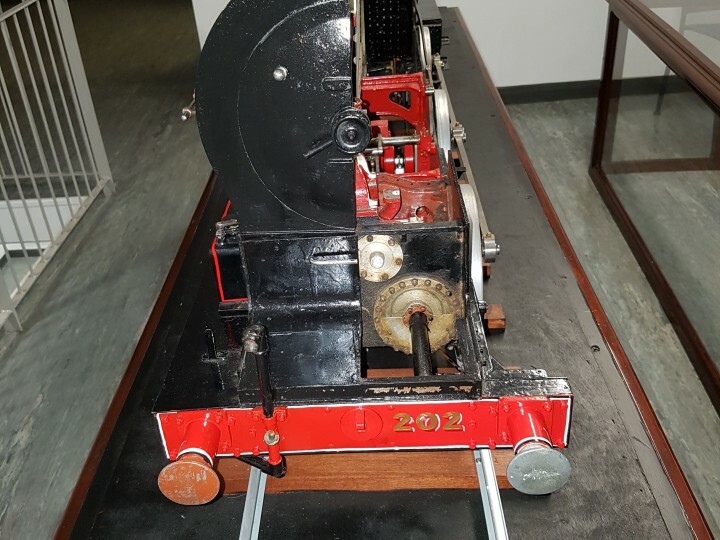 An electric mechanism was fitted by Dundalk electrician P Minogue, which turned the wheels for a fixed period upon the insertion of an old penny. The proceeds from this were donated to the Railway Benevolent Institution. The case could not be seen into from both sides, but it was fitted with a large mirror so that the right-hand (complete) side could be seen. In 1947 the model was moved to Great Victoria Street station in Belfast, where it remained for the next two decades - many a railway enthusiast has fond memories from this period of plying it with pennies! However, the Troubles had a part to play in the model's history. In 1972 it was damaged by one of many bomb attacks on Great Victoria Street, and moved instead to York Road station. Whether the slot machine mechanism was still operable is not known, but presumably it would have seen little use anyway after decimal coinage was introduced in 1971. York Road was also frequently attacked. The model was damaged again and withdrawn from display. 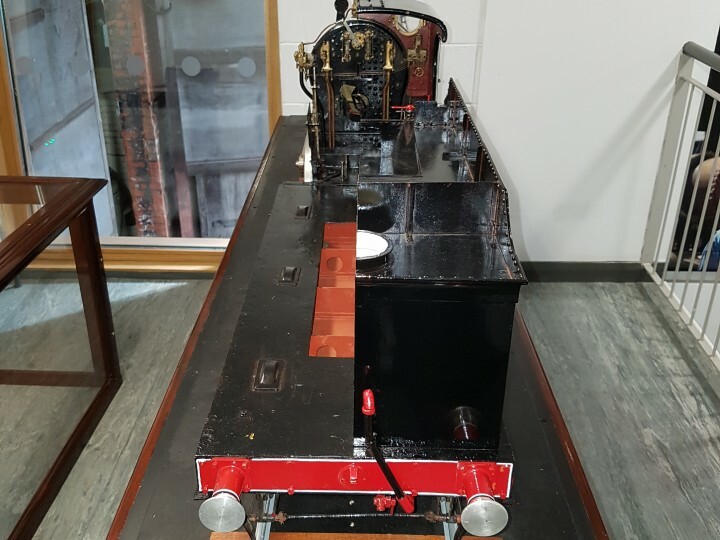 In the 1990s, RPSI Locomotive Officer Peter Scott took over the remains of the engine, and, with the help of other RPSI volunteers, began a gradual restoration. Here is a brief summary of the history of No.202 since it came into RPSI care. The tender, in seriously damaged condition, was given to me by NIR's Colin McCleod some time in the 1980s. The loco section was in store at York Road until the 1990s - then given to Ronnie Hope of NIR Purchasing Department, who dabbled in "unusual" model making (locos with wheel spokes consisting of cut nails and connecting rods made up of spanners, for example). 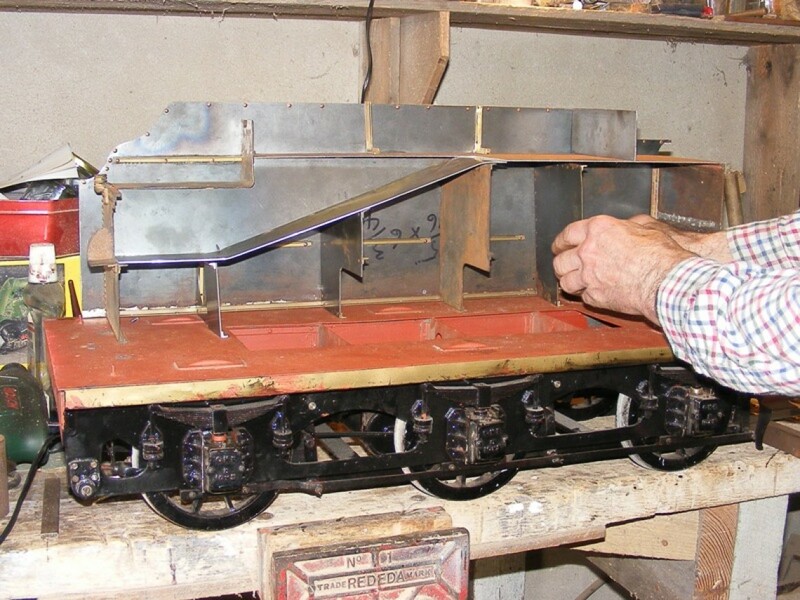 After he retired, Ronnie Hope gave me the loco section, which was in partly restored and incomplete condition. With the help of RPSI colleagues I proceeded to get the loco restored for eventual display. I found out that after suffering bomb damage, NIR had sent the loco section to a model maker in Holywood for repairs. I think this man's name was McClements, but not sure. The engine was missing several parts including the coupling rods - I managed to locate Mr McClements, and visited him in Holywood. He showed me several models that he had made of stationary engines - very high standard. He had done some repairs to the SG3 model but could not continue due to ill health. He gave me several small items that he still had - pressure gauge, etc. But not the coupling rods - he was certain that they were on the loco when he gave it back to NIR. Ronnie Hope said no. Mr McClements also assured me that the lubricator was correctly mounted - in fact it was upside down - a circumstance that puzzled me until I observed that the lubricator on Blanche in the Transport Gallery at Cultra is also upside down and that is probably where McClements got his ideas from! 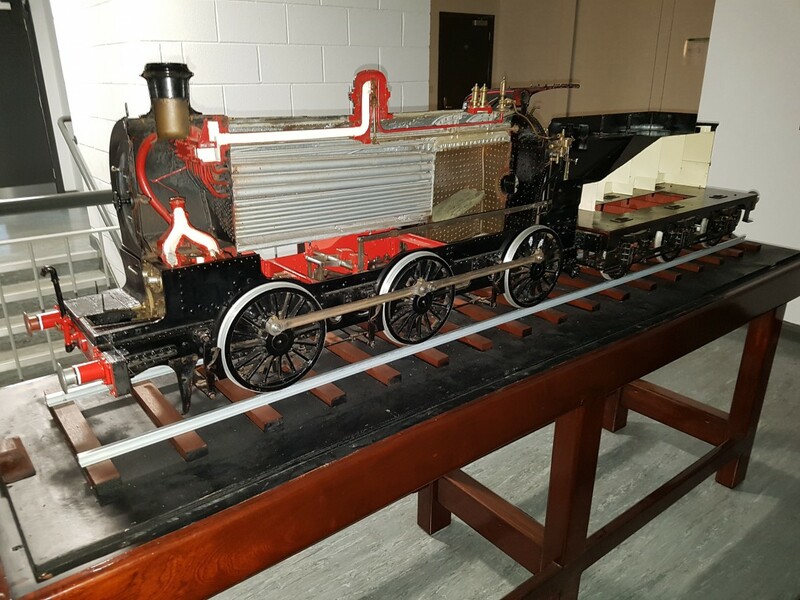 Restoration of the model was progressed by myself and others over several years, with some work being done at the regular RPSI evening classes held at the Millfield campus of Belfast Metropolitan College. Several wheels were renewed, also safety valves, whistle, buffers, brake gear, splashers, etc., - all items that had suffered bomb damage. New coupling rods were made - Tony Ragg was a major contributor to this work. The tender had suffered serious damage - I did much of the restoration over a number of years, including rebuilding of the superstructure and renewal of wheels - one of the latter had been rendered oval by the bomb. Phillip Newell assisted with some of the machining work. 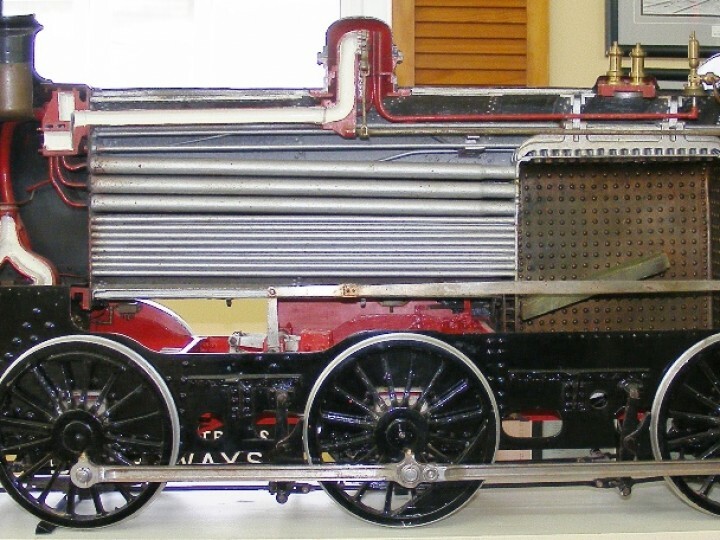 The loco section was in displayable condition before the tender and was loaned to "Headhunters" in Enniskillen on several occasions before the tender was ready. Another valuable contibution was made by NIR in the shape of a display case, constructd by Sydney Swann of the Joiners shop at York Road works. 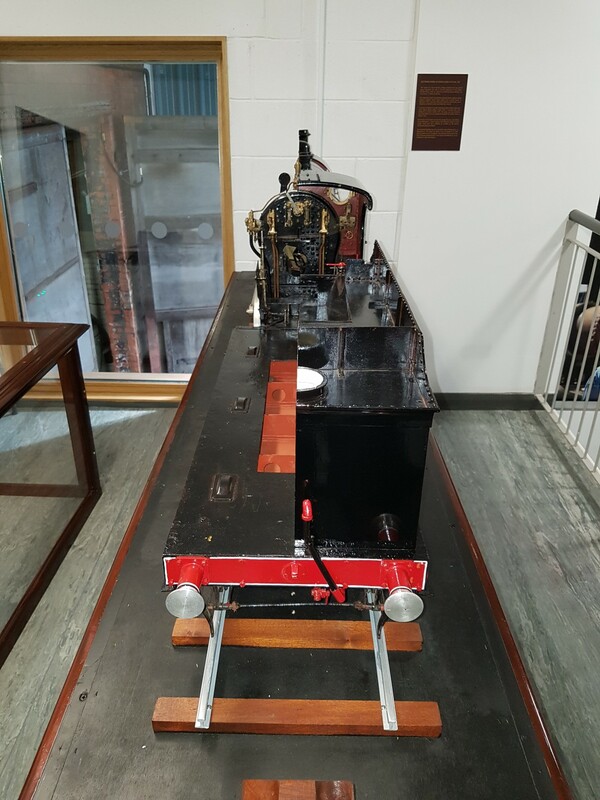 With everything re-assembled, the loco plus tender was loaned to the Ulster Folk and Transport Museum - where it was more accessible to the public than was possible at Whitehead at the time. There are still a number of minor jobs to do, including reinstatement of the fire irons and painting of the numerals. The only major missing item is the "penny in the slot" mechanism which used to cause the wheels to rotate for about half a minute for the delight of the bored passenger at Great Victoria Street Station. We have no intention of reinstating this - it would take too many pennies to make it viable! The model and case remained on loan to the Ulster Folk and Transport Museum since there was nowhere appropriate to display it at Whitehead. 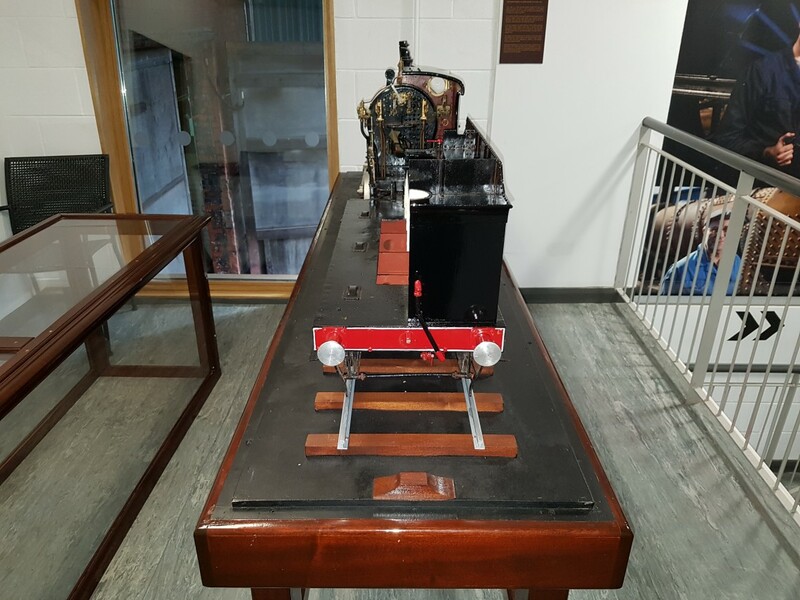 But with the coming of the Whitehead Railway Museum in early 2017 the SG3 was returned to Whitehead and is now one of the prized exhibits on display, representing a locomotive class sadly lost to us, and continuing to fulfil its original purpose - teaching the footplate crews of the future how a steam engine works.